A group of female Iranian martial artists have taken legal action against Britain's Reuters news agency for branding them as assassins, Press TV reports. 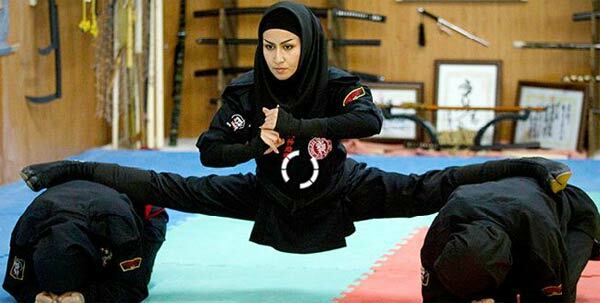 Last month, Reuters showed a number of Iranian girls training martial arts in a city near Tehran, claiming Iran was training more than 3,000 female ninjas to kill any possible foreign invaders. The distorted Reuters report was picked up by other British media outlets. Following the strong reaction of Iranian media to the report, Reuters made changes to parts of the report but refused to apologize for slander. The athletes say the Reuters journalist asked them what they would do if their country came under attack. Reuters used the girl's patriotic response as an excuse to call them assassins. "The lady from Reuters asked me only one question which had a very obvious answer. I believe that anyone anywhere in the world would defend his country if it were attacked...but she twisted our words to make us look bad and described us as assassins in the headline of her story," Khatereh Jalilzadeh told Press TV. "We are taking legal action because the ladies that train in Ninjutsu first and foremost enjoy it as a sport. It's about working out and staying fit. Reuters has blatantly lied about us," she added. Another female ninja said the Reuters' report can definitely be a problem. "It can harm our chances to travel to other countries to take part in gobal tournaments and international championships because Reuters is considered by many to be a reliable source," Raheleh Davoudzadeh said. "At this point, there is not much they can do to undo the damage... That is why we are taking legal action... We want the whole world to know that Reuters has lied about us," the Iranian ninja added. Akbar Faraji, who established Ninjutsu in Iran over 22 years ago, condemned the British media accusations, saying his students will pursue the complaint to the end. "We have filed a defamation lawsuit against Reuters and we intend to pursue it as far as necessary because it is a matter of reputation," he said. "Reuters has introduced us as assassins to the whole world. The truth must come to light and everyone should know that we are only a group of athletes. We are supervised by the Ministry of Sports and the federation of martial arts," Faraji concluded. The Reuters journalist who conducted the interview left Iran shortly before a court case was opened.